"As the voice of employees, HR leaders will play an integral role in balancing human skills with machine-based efficiency." 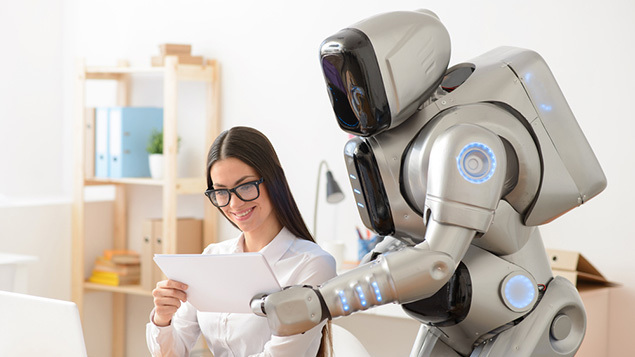 As the workplace rapidly evolves, HR faces the challenge of boosting productivity through technologies such as artificial intelligence while also ensuring the ‘human’ side of work is engaging and has meaning. Oracle’s Andy Campbell explains. Two competing forces are impacting the world of HR. On the one hand, the rate of social and business change is accelerating, creating an ever-more complex employment landscape. On the other, employees are pushing for greater simplicity, and for more engaging and human-like interactions. To strike this balance, HR practitioners are looking to new technologies such as artificial intelligence (AI), machine learning and chatbots, which allow them to support rapid business changes while delivering on workers’ expectations. Businesses have long recognised the importance of delivering a memorable experience for their customers. With millennials and Generation Z becoming the largest group of the global workforce, more organisations are applying the same mindset to keep their staff engaged and productive. Central to this is understanding that employees want meaning in their work. They want value, connection, recognition, and personal growth. They also expect access to technologies similar to those they use at home, complete with intuitive interfaces, quick responses, and real-time information. This is what will drive growth in the use of AI, chatbots, machine-learning, mobile solutions, and social platforms over the coming years, as employers look to make work more enjoyable and engaging. According to Forrester, by 2021 more than 50% of enterprises will be spending more per annum to create bots and chatbots than on traditional mobile app development. These tools mimic our senses, enabling us to communicate in a more natural way by blurring the lines between people, technology, and data. They will need to understand the capabilities of AI and automation technologies and their potential impact on the workforce, and use this knowledge to help shape the organisation’s approach. HR leaders will also need to work with line managers to develop automation strategies for their teams. This will involve a change in shape and structure, as well as effective training and development programmes to help employees develop the right skills to work alongside machines. Just as importantly, HR will step up its role as the company’s conscience, balancing the drive for efficiency with the need for human intuition and instinct. After all, just because a process can be automated does not mean it should be. It is crucial to find the right mix of man and machine so that automation does not drive so much standardisation that a company becomes inflexible and unresponsive to the market. Security is also critical. The actions of a single employee, whether malicious or accidental, can expose a business to data loss, regulatory fines, prosecution and an uncertain future. Organisations will increasingly embrace the power of AI to monitor their applications, systems and infrastructure and help them detect and evaluate anomalous behaviour as it is happening. However, it is important to do this without creating a Big Brother atmosphere, which risks disengaging and disenfranchising employees. Businesses will need to excel at adapting to fast-changing market dynamics, customer demands and technological innovations to thrive in the face of change. This will require a fundamental shift in thinking about the workforce. It’s no longer just about hiring employees, but rather about maximising productivity by intelligently automating tasks where possible, while getting the right people on tasks that require human intervention. 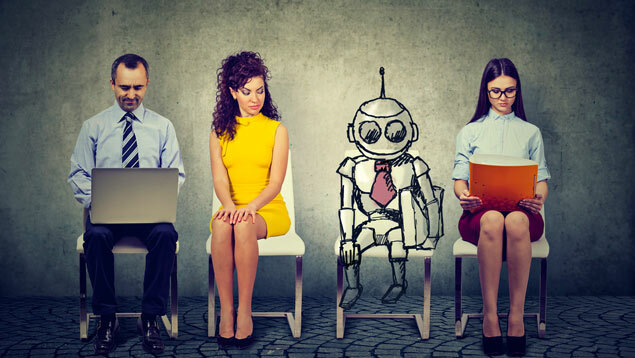 HR teams will need to work with business leaders to model the future workforce and reassess their hiring and staffing approach, taking into account the impact that automation will have on new job roles, skills and processes. They will benefit from using contextual data and workforce modelling technology to short-circuit problems like attrition and turnover, and to better understand their workforce and talent pool so they can make work smarter, more enjoyable and more collaborative. AI is fast becoming a dominant theme in the recruitment space. Recruitment specialists will increasingly use AI to gain deep insights into their talent needs, understand where and how to source candidates, reduce time-consuming activities such as manual resumé screening, and identify the right prospects from a large and diverse applicant pool. According to Forrester, candidates applying to jobs at 20% of large global enterprises will interact with chatbots before recruiters by 2020. Powerful AI capabilities and guided paths allow companies to deliver a simple and personalised recruitment experience, from a candidate’s first interaction through to hiring and onboarding. For example, people can now search for jobs and get their questions answered by chatbots directly, through channels such as Facebook Messenger. These chatbots can also share automatic alerts with when the status of an application changes or when action is required. To complement this, advanced machine learning capabilities highlight best-fit candidates and proactively identify prospects and employees who should be invited to apply, reducing the time required to fill open roles. In the same way that Alexa is a data source for Amazon to mine customer information, chatbots will be a data source that allows organisations to learn about their employees. Applied to the questions and conversations employees have with a company’s chatbots, machine learning gives each employee a unique and previously unheard voice, revealing underlying issues even before workers are consciously aware of them. There is fear about AI in the workplace, but its promise for employees and organisations outweighs this if the technology is used and managed in a way that puts real talent first. The use of AI in people management strategies will ensure workers have a voice and role to play in developing new employment models roles. Again, it will fall to HR executives to embrace change and make the technology a central tenet of their HR strategy. Andy Campbell is senior director of HCM strategy at Oracle UK.